I’ve never been one to mince words so let me just drop a truth-bomb on all of you fine folk reading this. J.D. and El Kaiser are disruptors. Period. Full stop. If there’s any doubt, quit dawdling and listen to this episode. Pedro breaks down Disruptive Innovation in a Tech Term segment and J.D. explains how you may already have a basic fitness tracker right on your phone. In the news Google has plans for a paid version of YouTube; Motorola unveils a new Droid; Verizon Wireless force feeds some users perma-cookies; The Federal Trade Commission has files a complaint against AT&T; Not all retailers are jumping on the Apple Pay bandwagon; HTML5 is finally official; Amazon takes on the Chromecast; And finally, Apple CEO Tim Cook explains why Apple killed off the iPod Classic. Want your cat music videos and surfing dog clips without having to sit through five seconds of annoying ads? Got cash? A vice president who heads the YouTube division at Google said this week the company is planning a paid version that will also be ad-free. No word on pricing yet, but they’re still working things out. If you’re not thrilled with any of the new phones so far this season, here’s a new one. Motorola’s latest handset is called the Droid Turbo and it boasts some impressive specifications, including a 21-megapixel camera, a 5.2-inch screen and claims of up to 48 hours between charges on the battery. (The included “Turbo charger” also claims to give you eight hours of power with just 15 minutes of juicing time.) The Turbo comes in red, black or white and it’s on sale through Verizon Wireless as of October 30. Speaking of Verizon Wireless, astute observers including those at Wired magazine have noticed that Verizon Wireless has been quietly inserting a string of alphanumeric characters into the data flying between its wireless customers and the websites they visit. Verizon calls that string of characters a “Unique Identifier Header,” or UIDH. It’s part of the company’s Internet advertising program and basically functions as a serial number or a “perma-cookie” that advertisers can use to identify you. As one can imagine, the Electronic Frontier Foundation and other privacy-minded groups are not happy about this. If you want to see if your mobile device has been tagged with a tracking number, visit lessonslearned.org/sniff. Verizon is not the only one getting a growl from the watchdogs. The Federal Trade Commission has filed a complaint against AT&T alleging that the company has mislead consumers with its unlimited data promises — by not informing those customers that part of their unlimited data plans include having their data throttled by up to 90 percent. Go get ’em, FTC! Apple Pay has been up and running for the past week or so, but some companies are banding together to promote other contactless-payment services instead. CVS and Rite Aid are among those declining to take Apple Pay at the cash register now, reportedly choosing the just-hacked CurrentC instead. Walgreens, however, is happy to take your Apple tap. Microsoft has issued a security advisory for vulnerability in its PowerPoint software and other programs that use the Microsoft OLE code. The issue effects pretty much all supported versions of Windows out there. So expect a patch soon, check out the security advisory for suggested workarounds and don’t open PowerPoint presentations or other Office documents from strangers. In Not Scary Microsoft news, the company has knocked another $50 off the price of an Xbox One game console. The sale starts November 2, and brings the price of a basic Xbox One down to about $350. Your move, Sony. Although Amazon’s weaker-than-expected third-quarter earnings and epic dud known as the Fire Phone may have its investors a bit cranky, the MegaÜberEverything Store is cranking out new products. 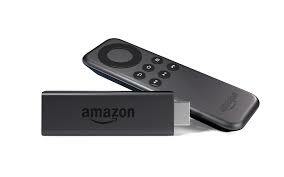 This week, Amazon announced its new Fire TV Stick, a $39 competitor to Google’s similar Chromecast HDMI dongle. All those sassy TV ads and data-deal promotions seem to have paid off for T-Mobile. The carrier just reported its largest financial quarter in its company history and now has 52.9 million total customers and Sprint in its targeting computer. While the explosion of Orbital Science’s Antares rocket this week was most unfortunate, the space mission goes on. NASA is getting ready to test its new Orion unmanned spacecraft in early December and if you hurry and sign up before midnight on October 31st, your name can go up on the test flight. As part of its public awareness and outreach efforts, the space agency taking the names of everyone who signs up for an “Orion boarding pass” online and inscribing them to digitized list on a microchip inside the capsule. NASA is also inviting social media users to apply for credentials to attend Orion launch events at several of its facilities around the country. And finally, Apple CEO Tim Cook explained why Apple killed off the beloved-by-many iPod Classic last month. Said Mr. Cook at a tech conference this week: “We couldn’t get the parts anymore, not anywhere on Earth.” NASA, you have a new mission.